Your website home page is your first impression to your audience (your clients, partners and colleagues). Immediately, a business home page should answer the question "What do you do?" (or "What do you sell?" or "What do service do you offer?") and allow visitors to quickly and easily find what they need. These things should happen within seconds and without effort or thinking from the end-user. This is called intuitive web design. 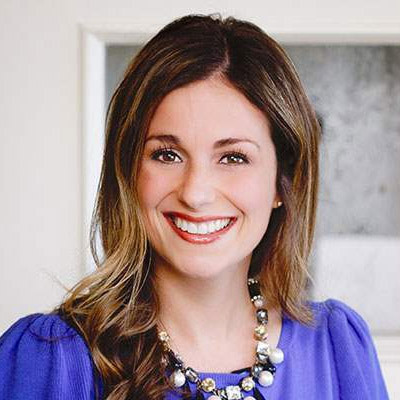 With these two important things in mind, TBH Creative redesigned the home page for RJE Business Interiors in Indianapolis. Their old home page did not tell visitors that they sold furniture and their navigation naming was clever, but not intuitive. Our goal in the redesign was to keep the strong brand elements and basic structure, but to make it very clear that RJE sells high quality business furniture for a variety of industries, as well as show off some of the products and spaces. The navigation was also simplified, and we added secondary navigation for quick access and better organization. The new home page and navigation was developed using CSS and JQuery, both allowing for easy additions and changes in the future. Visit RJE Business Interiors and tell us, do you know what they do? My favorite piece of furniture from RJE is the generation chair. 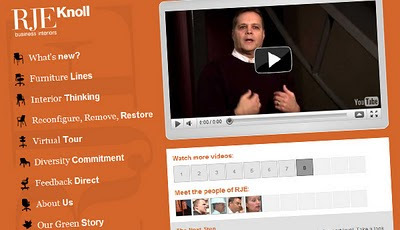 Become a fan of RJE on Facebook. 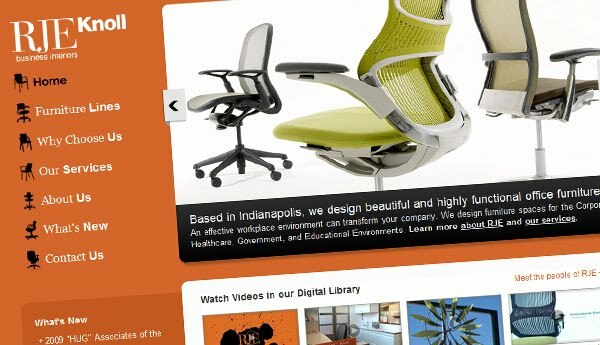 TBH Creative is a web design company based in Fishers, Indianapolis. A website redesign can make a large impact on your website success. If you current website is pretty good -- a few smart and strategic change could improve your results.